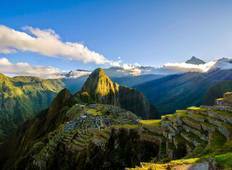 Find the best Machu Picchu Peru Peru trips. 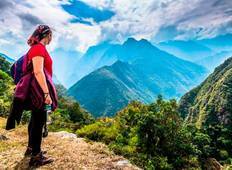 We've got 35 tours going to Peru, starting from just 1 days in length, and the longest tour is 15 days. The most popular month to go is October, which has the most number of tour departures. "The entire experience was amazing! The small group of 5 hikers made it fantastic...."
"Aldo was fantastic!! very helpful and patient when I have problems on the trail even..."
"Excellent serviced amazing guides Beautiful scenery helpful guides very well organized..."
"Our guide was absolutely amazing. Our cook and assistant cook were phenomenal hands..."
"Everything was excellent. Particularly appreciate the helpfulness of the guides when..."
"The tour was amazing, it’s tourradar the problem. Pretty much doubled the price..."
"The trip was excellent foud was amazing we had to make some hard decisions about..."
"Walter is a excellent and knowledgeable guide .he did a great job accommodating the..."
"Food was amazing, Guide was extremely informative and very personable Claudio was..."